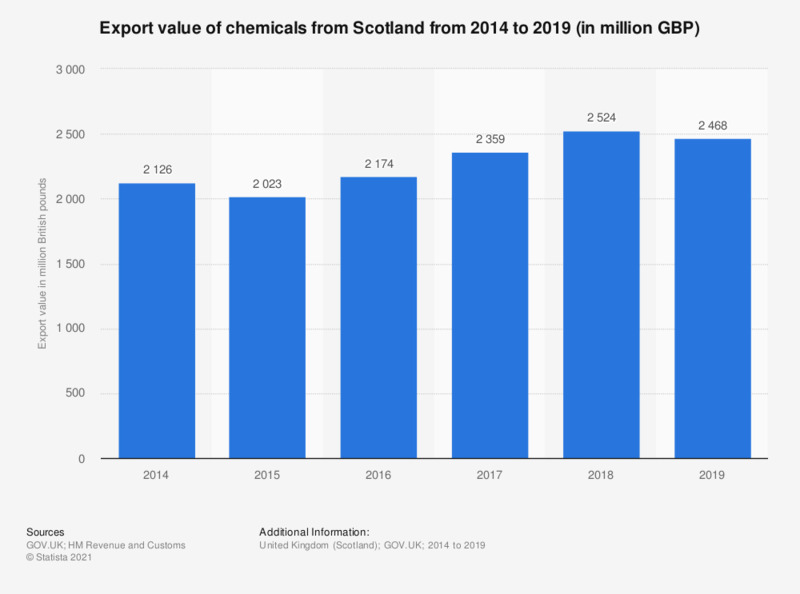 This statistic shows the value of Scotland's chemical exports from 2014 to 2018. Chemical export values amounted to 2.5 billion British pounds in 2018. This was an increase from the previous year.